Spirit’s Bounty Farm All Natural Ear Treatment is a gentle, effective, blend of natural plant oils and homeopathic ingredients that not only softens ear wax, but also removes ear mites, and soothes the irritated ear canal without synthetic insecticides or steroids. 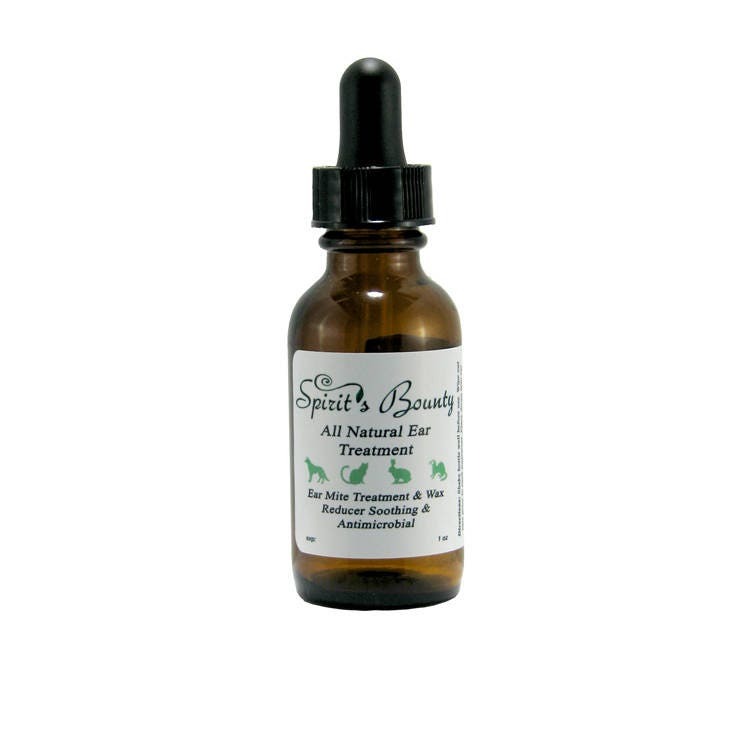 Spirit’s Bounty Farm All Natural Ear Treatment is safe for use in dogs, cats, ferrets, and rabbits. This product is not intended to diagnose or treat any disease. Ingredients: Sunflower Oil, Karanja Oil, Colloidal Silver, Geranium essential oil,Copiaba essential oil, Arsenicum Album 200C. Product is a 1 oz glass bottle with a dropper.